This article focuses on why speaker directivity and off axis response is important to the quality of sound reproduction that we get in our home theaters, two channel listening rooms and project studios. It is the second in a mini-series of articles – the first article covered the theory of speaker directivity and different ways to measure it. We will be following up this blog post in the coming weeks with further posts looking at the directivity characteristics of different types of speakers and examples of good and bad design. The ear / brain system combines the sound information from the direct sound, early reflections and late reflections and hears them as if they were a single entity. The direct sound is the signal which leaves the loudspeaker and travels straight to the ears of the listener without hitting any boundaries such as the floor, ceiling or side walls. It is typically considered as the on axis or axial frequency response of the loudspeaker, although many use the ‘listening window’ instead since it is rare to be sat directly on axis with the speaker both horizontally and vertically! The listening window is an average of a number of speaker measurements taken at small off axis angles. There is little doubt that most modern speaker designers target a flat on axis response, with some variation from designer to designer for ‘voicing’ purposes. The early reflected sound leaves the loudspeaker and then bounces once off the major boundaries in the room before reaching the ears of the listener. The speaker’s contribution to the early reflected sound is the frequency response at the off axis angles that represent the sound path from loudspeaker to boundary to listener. The fittings and furnishings of the room at the locations of the reflections change the spectral content of this sound on its way to the listener because objects like acoustic panels, carpet, ceiling tiles are all frequency dependent absorbers. Late reflected sounds are those that arrive at the listener’s ears after multiple reflections. The speaker and room both contribute to what we hear as late reflected sounds. The speaker’s contribution is termed sound power. The room contributes it’s decay properties, both at mid-to-high frequencies (reverberation) and low frequencies (room resonances). From the above paragraphs it is clear that only the direct sound is unchanged by the room. The ‘acoustics’ of the room in which the loudspeaker is placed change both the early and late reflected sounds and therefore what we hear. The first four paragraphs of my article Listening Room Reflections and the ETC provide some more in depth reading on the subject. I often use the following quote from Arthur Benade because I think it is very good at explaining what is going on! b. that most of them arrive within a time interval of 40 ms following the arrival of the first member of the set. The singly perceived composite entity represents the accumulated information about the acoustical features (tone color, articulation, etc) shared by the set of signals. It is heard as though all the later arrivals were piled upon the first one without any delay. Interestingly enough, Harman research shows that the frequency response at the listening position above the room’s transition frequency can be predicted from the anechoic measurements of the speaker by combining the data together as follows: 14% direct sound + 44% early reflected sound + 44% late reflected sound. The direct sound’s contribution to the frequency response as measured at the listening position is far less than that of the early and late reflected sound. The speaker’s contribution to early and late reflected sounds is all off axis sound, at various angles, some very far off axis (up to 70 or 80 degrees laterally off axis in the case of the side wall reflection). The early and late reflected sounds are modified by what is in the room – acoustic panels, carpets, drapes, furniture, everything. What is placed at the small surface area of the room’s early reflection points on ceiling, floor, side walls, front / back walls is as important to the frequency response at the listening position as everything else on every other surface in the room combined. Floyd Toole’s research at the National Research Council in the 1980s started to conclusively link objective speaker measurements to subjective preferences using double blind tests with trained listeners. His findings were that listeners prefer speakers with smooth flat on axial frequency responses and well behaved off axis performance. Speakers with these characteristics were scored higher in listening tests than those with off axis issues. This conclusion was bolstered by further tests throughout the 1990s and into the modern era and holds true with both trained and untrained listeners. The story is well summarized in this blog article by Sean Olive, current Research Director at Harman. Both on and off axis response must be similar in shape. If this is true then this means the early reflected and late reflected sound as heard in room will be similar in spectral balance to the direct sound. The chart below reveals the clear link between subjective and objective measurements as found through the Harman research. The Harman research has in fact reached the point where the subjective preference of a listener can be predicted from a speaker’s anechoic measurements! Watch this video & read this book! Here’s a great video that features Sean Olive, Head of Research at Harman talking about speaker testing and listening tests. 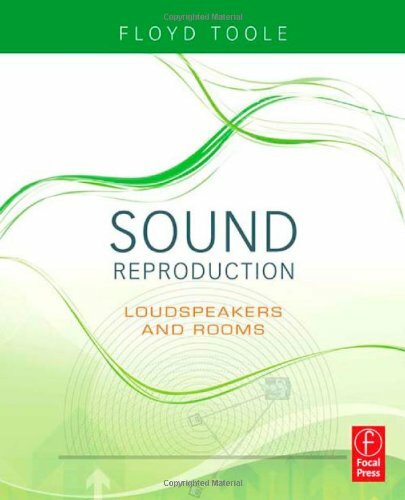 Floyd Toole’s excellent book Sound Reproduction, Loudspeakers and Rooms provides a huge amount of information about psychoacoustics and the link between objective speaker measurements and subjective preferences. It is required reading for anyone interested in deepening their knowledge about loudspeakers and rooms and how they interact. Thanks for reading and let me know about your thoughts on the link between off axis response and subjective preferences via the add a comment function! The Polk curves look pretty bad compared to the Klipsch, yet it was preferred? Am I missing something? I notice the Polk has somewhat bumped highs and lows, with laid back mid range. The Infinity looks a little that way too, but less so. I wonder if the Klipsch would beat the Polk with a little EQ applied. Hi Kristian, would be great to understand more what you mean by your comment?